Greensfelder's Chicago office was established in November 2008. 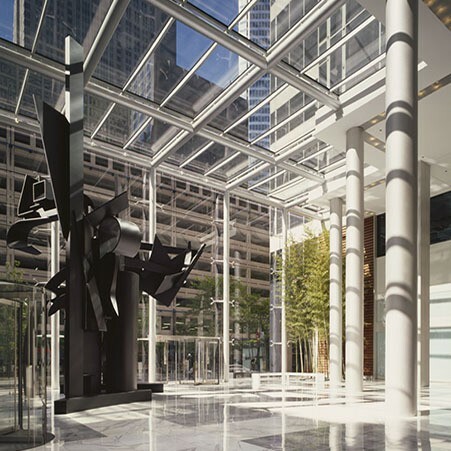 Our Chicago attorneys have a combination of industry knowledge and experience to serve Fortune 500 companies as well as privately held corporations. As leaders of practice or industry groups, attorneys of Greensfelder’s Chicago office collaborate with other members of the firm, working together and sharing knowledge with colleagues in all office locations. Our clients enjoy the personal attention of a cohesive firm, which is also nimble. Ample parking facilities surround our offices at 200 West Madison Street, including at Washington and Wells and across the street (next to Walgreens) at Madison and Wells. Coming from Midway, take the Orange Line 'L' Train at Midway to the Washington and Wells stop. The office is located at 200 West Madison. Upon entering the building, please check in at the security desk for a visitor's badge.